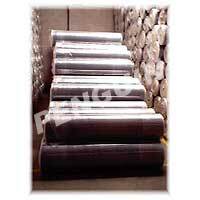 Penguin fabric roll wrapping machine packing denim, carpet rolls - at Denim cloth manufacturing. 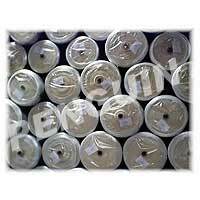 Stretch wrapping is the most economical way of Roll packing. 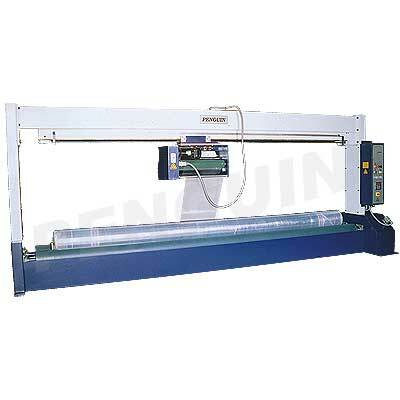 The Penguin Fabric Roll Stretch Wrapping Machine is the prestigious “Pacmachine” award winner. 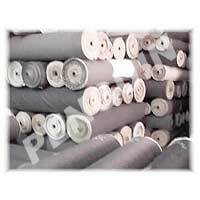 It is used to pack rolls of many items like denim fabric, carpets, curtain cloth, paper, film etc. Penguin Stretch Wrapping Machine offers the most profitable way to pack your valuable goods by saving in cost of film, labour and power. Penguin machines are from the leaders in stretch wrapping and are in use at various industries all over India and Abroad. at Denim cloth manufacturing unit. This machine is ideally suitable for large weaving mills manufacturing heavier and wider-width cloth rolls like Denim Fabrics, Carpets, Upholsteries, where cloth in Roll-Forms are to be protected from dust & moisture when in storage and in subsequent transportation. The automated operation cycle can be programmed and monitored through microprocessor interface. This machine saves huge labour costs as well as packing time apart from convenience while loading trucks / containers when dispatched from mills. Changing over from Shrink wrapping to this type of Stretch Wrapping, gives huge amount of savings in power costs, and hence its cost of investment is paid back within 'few months'. It is easy to operate & very simple to maintain; it is sturdy & user friendly; it can accommodate even wider width - bigger diameter fabric rolls & stretch wrap them quickly. This machine is using 220 V, 1-phase, 15 Amps, & 1.5 kW power supply.